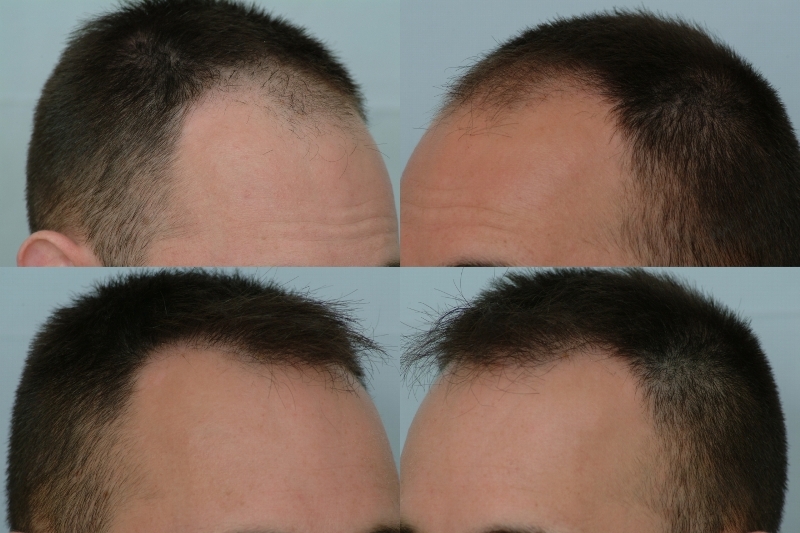 This patient’s goal was to maintain density in the frontal third and obtain a natural looking hair transplant result. 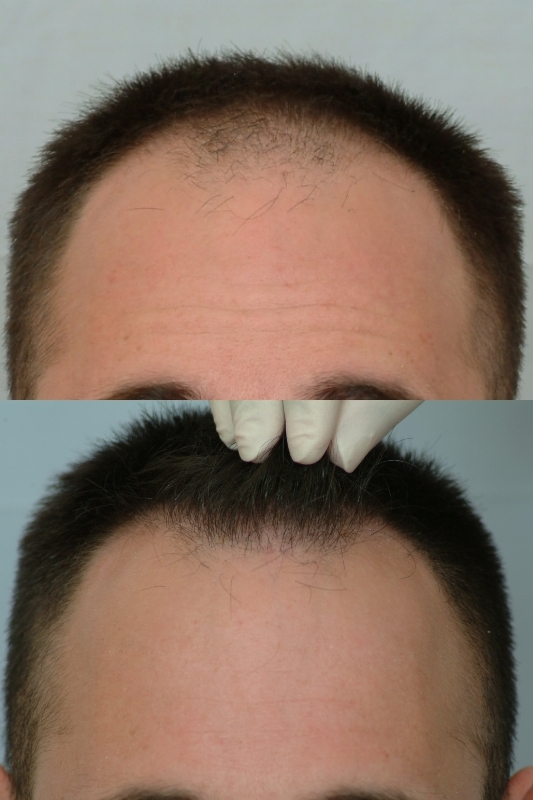 Dr. Cole treated this class 3 patient by transferring a mere 700 CIT grafts to the frontal scalp. At this point, we have considered that additional hair loss may occur and have taken a conservative approach to restore the recession. This result is in the likeness of the “less is more” approach. Keep in mind that the patient can decide to add more density at any time in the future. Attached below are the photos that depict the results of this case at 3 and 17 months post-op. 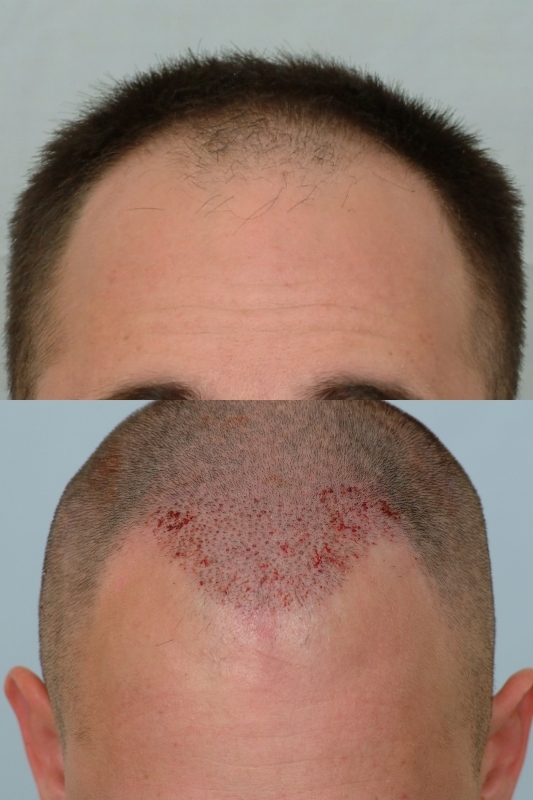 Remember that this patient will have a natural looking hair transplant even if no further surgery is preferred. The patient now has a soft and more mature hair line to better frame the face. CIT benefits patients because the transaction rate is about 2% and each follicular unit is selectively chosen for the best possible coverage in the recipient area. 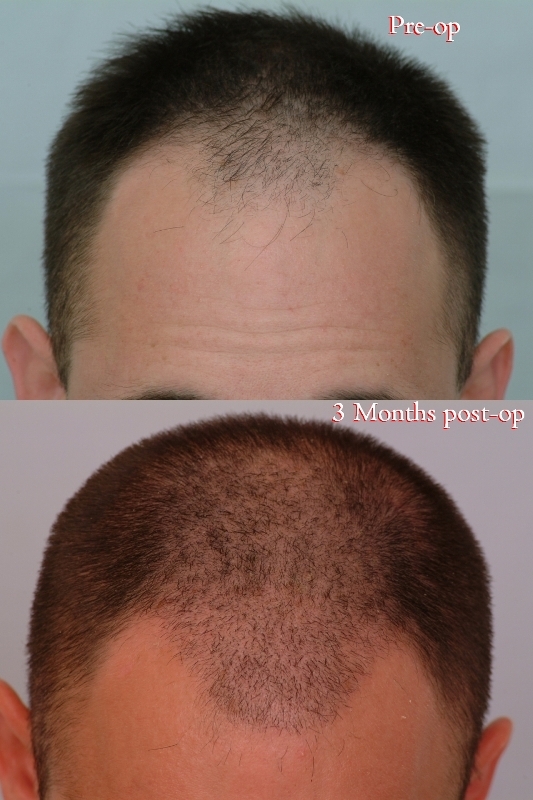 The photos below show a patient who is satisfied with the results from front to back. Happy holidays to this patient and to all fellow forum viewers! I have to commend Dr. Cole for giving this guy only 700 grafts and not try to sell him something that looks phenomenal but not in his best interest. Had he gone to Armani I am sure Armani would have recommended at least 3000 grafts to front load his hairline. » grafts to front load his hairline. Not only that, but Armani would’ve probably used more like 1500 grafts just to achieve the amount of new hair this guy actually got. No way Armani’s number would have been less than 1000 for this change. » can decide to add more density at any time in the future. » patient now has a soft and more mature hair line to better frame the face. » results from front to back. » Very cost effective procedure. Graft per graft, this has the best coverage that » I have seen! » how old is he? Here is the Greatest value dollar for dollar! » to sell him something that looks phenomenal but not in his best interest. We find it advantegous for patients to use their donor resources for the future. And often times we post-pone surgical methods of hair restoration. We also see too many 18 to 21 year old patients who were not told that hair loss can be progressive or that strips can have more side-effects than most patients are made aware of at the time of surgery.